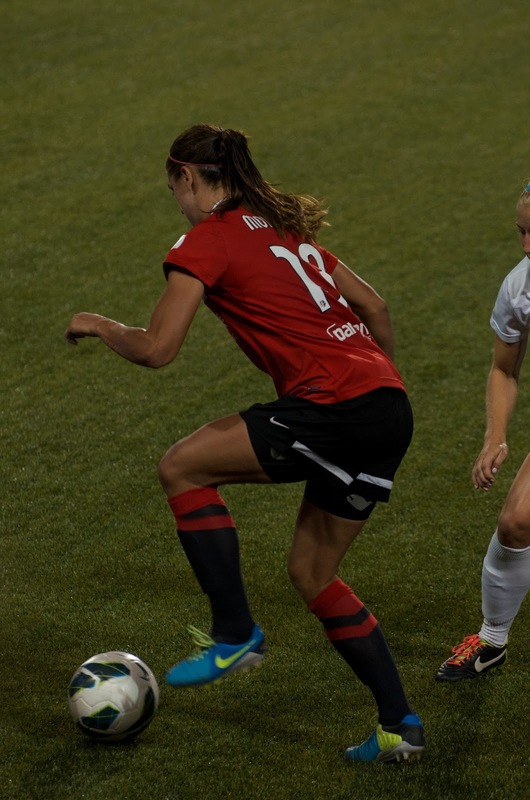 Earlier this year Emily and saw a Thorns vs. Sky Game and it was one of the first games that the Thorns had lost. Fortunately, this time the Thorns would come through with the 3-1 win. Once again we were given great tickets by Emily’s boss right down by the field which gave me a great view of the incredible talented and incredibly beautiful Alex Morgan along with allowing me to get a great shot of Shim’s goal which she was super excited about. We’ve been to many Thorns games this year but only a couple Timbers and two US Men’s Team games. The crows was loud and rowdy as usual and Emily and I had a great time.